In the mood for some Guy Fieri? Want to find the closest diner, dive or drive-in near you? Food Network's incredible new app can do that. And if Giada DiLaurentiis is more to your taste than Guy Fieri, it can help you there too. 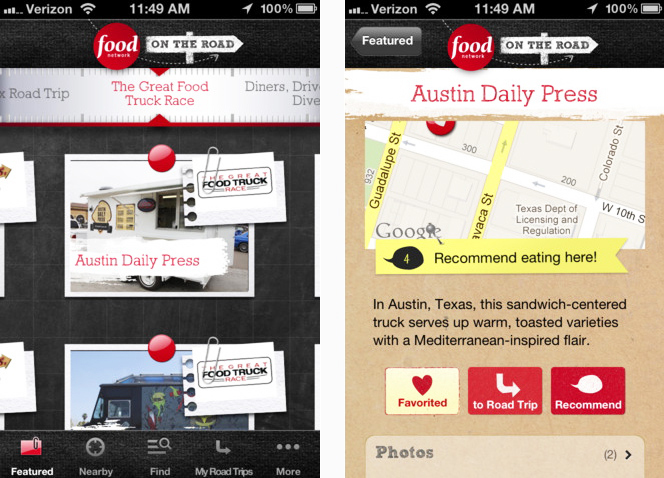 "On the Road" is the network's free app that lets you find the best places to eat across the country. You can browse places according to the shows, or find destinations recommended by whichever chef you're currently enamored with. Of course, you can also search by location, cuisine, city, and so on.